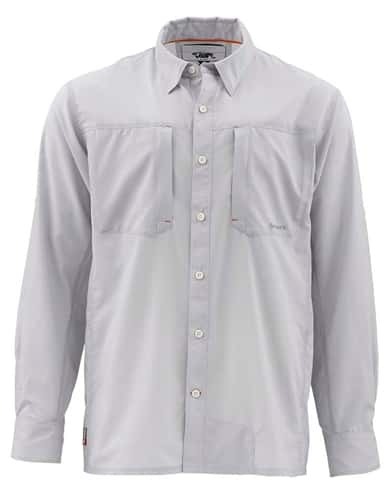 The Simms Ultralight Long Sleeve Shirt will elevate your fishing with UPF50 COR3 tech that wicks moisture, blasts odor, and breathes easy out the door and into the oven. Laser-cut side venting helps dump heat and drive airflow. Apt architecture includes zippered chest pockets for fly box compatibility, action back patterning for easy rowing and casting.